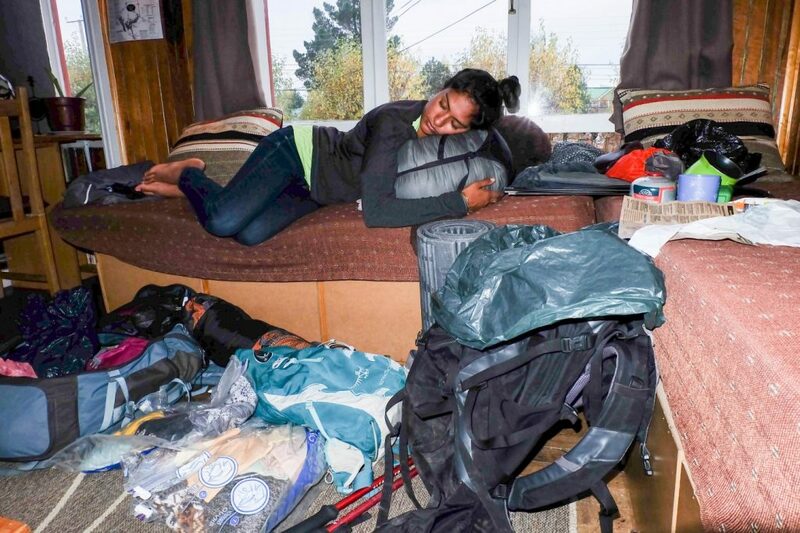 The Ultimate Hiking and Camping Packing List » Lavi was here. Packing is a challenge. If you’re anything like me, it takes way more time than expected and always ends in overpacking. You’d think that after moving to Madrid a suitcase and backpacking through Latin America that I’d have the hang of it by now, but it’s a constant struggle. Having to carry everything on your back with limited bag space, packing for hiking and camping is worse than packing for a vacation. In efforts to help you (and myself) for the next hiking and camping trip, I wanted to lay it all out in a comprehensive list. 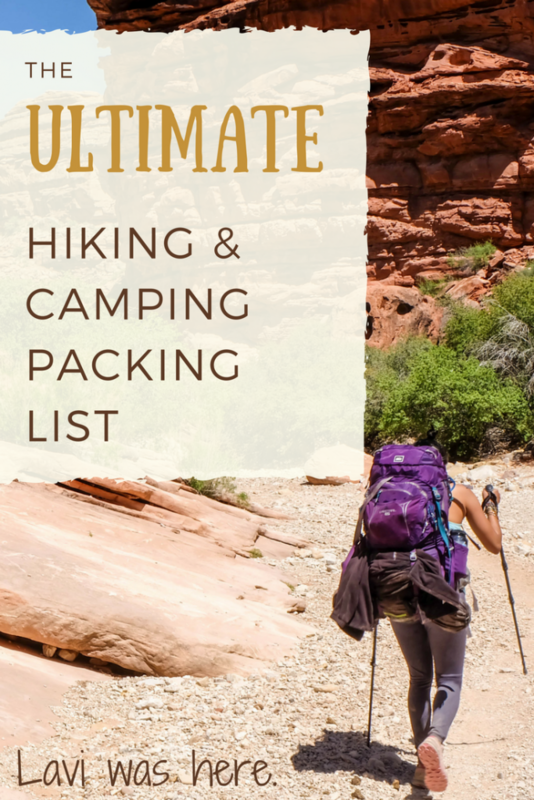 I’ve compiled the ultimate hiking and camping packing list with everything you’ll need for your next outdoor adventure. You want to make sure you can pack everything you need without having it completely weigh you down or be a mess to pack up when your trip is over. 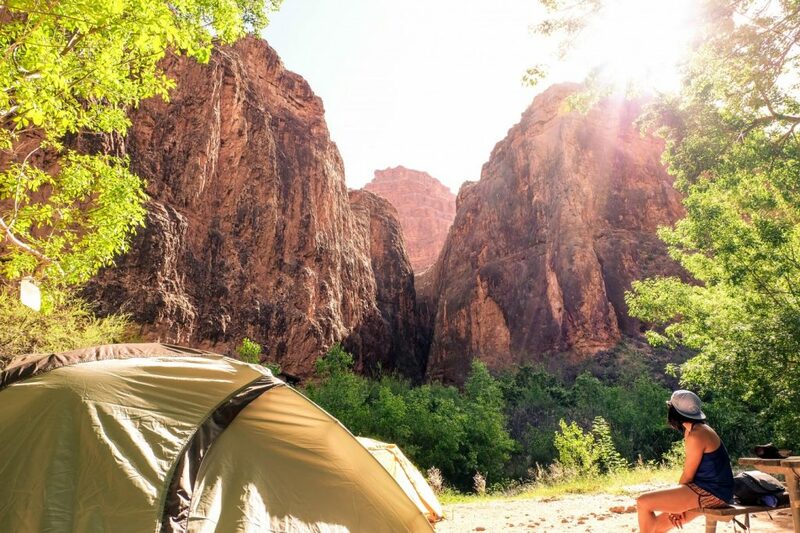 Tent: A two-person backpacking tent like the REI Camp Dome 2 tent is going to have plenty of space for two people on a camping trip. Sleeping bag: Choose your sleeping bag according to the temperatures you’re likely to face at night. I went with the Marmot Trestles 30-degree (F) sleeping bag and it’s been great for the camping in the US in spring. I rented a 15-degree sleeping bag in Torres del Paine so this probably wouldn’t have been warm enough, but I invested in a sleeping bag I know I’d use and bring with me going forward. Sleeping pad: An inflatable sleeping pad like the Therm-a-Rest NeoAir Venture packs light and small. It was so much more convenient than the solid sleeping pad I had to roll up and attach to my backpack for Torres del Paine. Pillow: It might sound silly but an inflatable pillow makes sleeping in a tent so much easier. The Sea to Summit Aeros Pillow packs so small and is super comfy. Sleeping bag liner: If your sleeping bag isn’t’ warm enough, a sleeping bag liner is like a pillowcase for your body that’ll keep you insulated in your sleeping bag. I like the Sea to Summit Reactor Thermalite liner and have used it in hostels and other sleeping situations too. Bungee clothesline: It sounds random but a bungee clothesline is great for hanging wet clothes or for miscellaneous use around the campsite. Headlamp: A quality headlamp is ideal for night hikes, sunrise hikes, or maneuvering around the campsite in the dark. MREs (Meal, Ready-to-Eat): I’d never eaten an MRE before camping in Havasu Falls and I was surprised at how delicious they were! MREs are more efficient on time and easier than preparing a meal every night. Any flavor MRE by Mountain House is going to be a tasty one. Pro tip: make sure you have enough calories for dinner! I was definitely a little hungry and realized I should’ve been eating two servings instead of one to get enough calories in. Water purifier: Don’t take chances with your drinking water if you’re not certain it’s safe to drink. The SteriPEN Adventurer UV water purifier will purify your water in no time. I’ve used this all over the world! Cooking set: The MSR Pocket Rocket Stove Set has everything you need to cook at the campsite. Don’t forget to bring enough gas canisters! Collapsible water container: Having a lot of water on hand at the campsite is key when you’re camping with a group. Bring a 5-gallon water container that’s collapsible to pack with you when it’s empty. 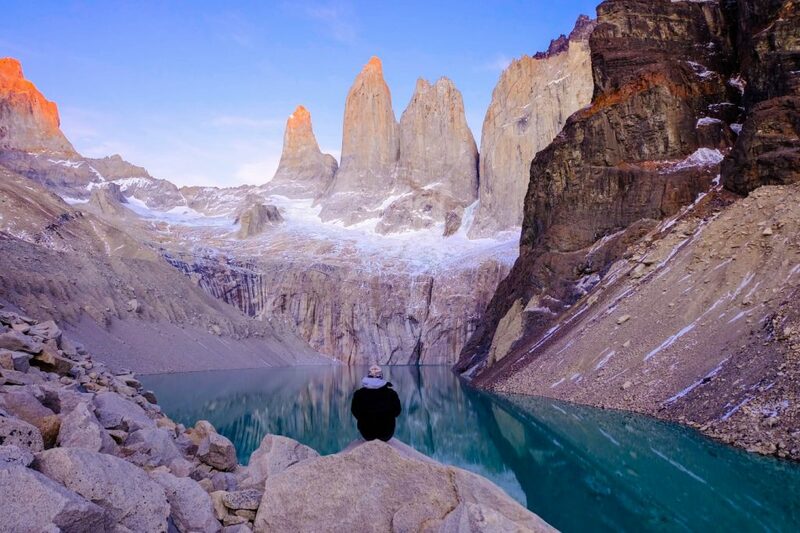 Trekking poles: I was hesitant about trekking poles at first, but they were a lifesaver in Torres del Paine and Havasu Falls. After extensive research, I found the Hiker Hunger Carbon Fiber Trekking Poles to be as light and strong as more expensive brands. They’re so useful and a great value! This is the best hiking purchase I’ve ever made. Backpack: I went with a 50L backpacking bag like this Osprey Atmos AG 50 for a four-day hiking trip and it had just enough room, so a 65L might be even better. 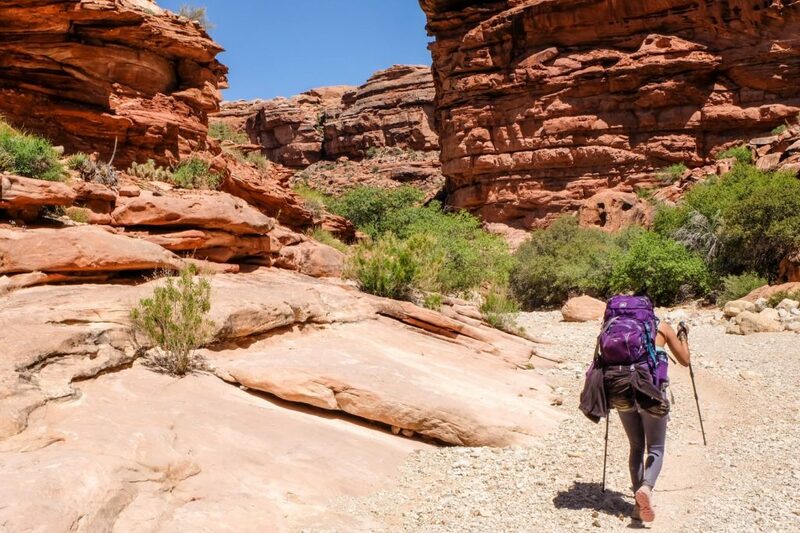 Daypack: A smaller pack like the Osprey Tempest 20 for shorter day hikes is super convenient when camping and even for hiking when you’re close to home. Dry bags: Pack dry bags with you to keep important items dry in the event you’re hiking in water or rain. Camelbak bladder: My Camelbak 3L bladder was a new purchase and so helpful to stay hydrated without having to stop and retrieve my water bottle. It fits perfectly in a 20L daypack or larger backpack. Hiking shoes: Hiking boots are a thing of the past – hiking shoes are lighter and in my opinion easier to hike in. I wear Salomon Speedcross trail running shoes for all outdoor activities. Water shoes: Some hikes require river crossings. I switched to affordable water shoes that were OK but not ideal. You might want to go with something more sustainable like these Teva sandals. Towel: A quick-dry towel is essential for camping and hiking trips. I love my Sea to Summit Tek towel in size large. 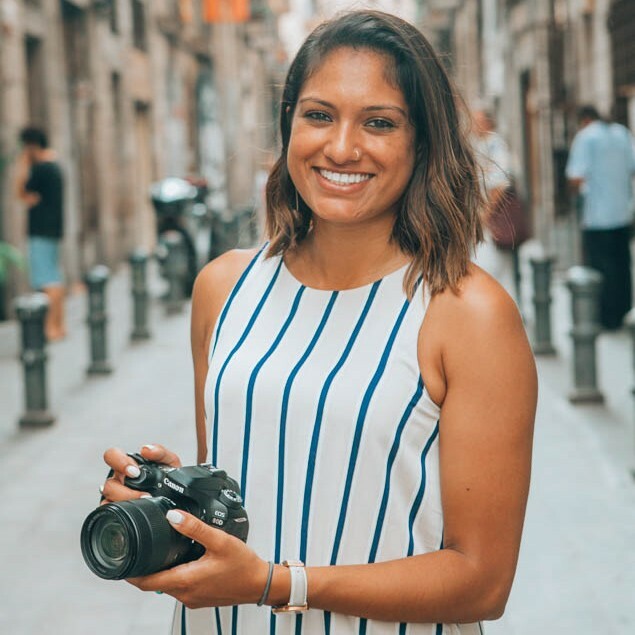 Mirrorless digital camera: I use the Fujifilm X-A2 (not available online, but you can get the newer X-A3) and have always been happy with the quality of my photos! Neutral Density filter: I recently bought a Hoya HMC ND8 filter to capture long exposure photos in daylight. It works great but it’s worth it to do some research to see exactly which filter you want. Mini tripod: My Manfrotto mini tripod always comes in handy when taking group photos or capturing photos when traveling solo. GoPro: I love using my GoPro Hero 4 Silver for capturing photos and videos when I’m swimming, surfing, or hiking. Drone: I take aerial photos and videos with my Yuneec Breeze just as long as it’s allowed. You should check the drone regulations where you’re going before bringing it. Drones are prohibited in Havasu Falls and are also prohibited in many other parks. Did I miss anything? What’s on your hiking and camping packing list? 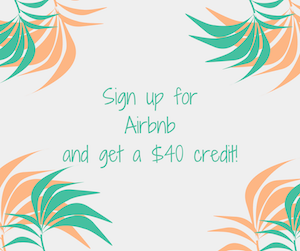 Sign up here to receive my FREE eBook full of solo travel tips!